You are here: Home / Ethnic Groups / The People of Sulawesi / Who are the Kaidipang? The Kaidipang people are found on the outskirts of the Bolaang Mongondow district of the North Sulawesi province. The Kaidipang area is surrounded by North Sulawesi province to the east, Gorontalo province to the west, the Sulawesi Sea to the north and Tomini Bay to the south. Historically, the Kaidipang formed their own kingdom. In 1910, they joined with the neighboring Bolang Itang kingdom. This enlarged kingdom lasted until 1950 when it joined the then recently independent Republic of Indonesia. The Kaidipang language is part of a larger linguistic grouping called the Gorontalic family which also includes the Bolango, Gorontalo, Lolak and Suwawa languages. The traditional Kaidipang lifestyle was one of shifting agricultural settlements. New fields were cleared using the slash and burn method. These fields were used until becoming depleted of vital growing nutrients; then the people would move on to new areas and repeat the cycle. In recent times, however, the Kaidipang have become more settled, resulting in an increase in their population. Kaidipang villages are usually found along roadways in the highlands. Many Kaidipang have become rice farmers, fishermen, day laborers and owners of small shops. They also raise livestock such as cattle, goats and chickens. The lineage of descent for the Kaidipang people is bilateral (traced through both mother and father). Inheritance is handled in the same way for both male and female descendents. 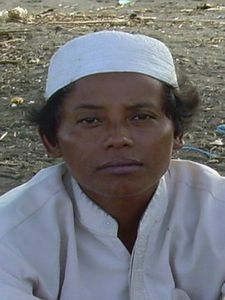 Unlike most other ethnic groups in Indonesia, the Kaidipang reserve no special treatment or rights for male family members. Traditional law (adat) is still in use, although it has become intertwined with Islamic practice. As Muslims, the Kaidipang believe that they will be judged on their knowledge of the Islamic Holy Book (the Qur’an), and their way of life. Because of that, they strive to be devout Muslims. Despite this, many of the Kaidipang still believe in animism and various other superstitions. These beliefs are most clearly found in magic performed to control good and evil spirits in order to secure protection.